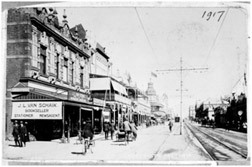 JL van Schaik Bookshops opened. JL van Schaik starts publishing books. Beginsels van de Karakterkunde by Dr. SO Los was the first book published by JL van Schaik. Important books by J van Bruggen published. Tweetalige Woordeboek by Steyn published. Beginning of numerous dictionaries published by JL van Schaik. Published and used in schools for more than 40 years. 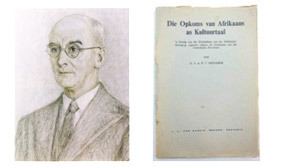 In the 1920s and early 1930s many authors were published including CM van den Heever, AG Visser, Mikro, Uys Krige and many more. Die Meisies van Maasdorp series by Stella Blakemore is published. Followed by Keurboslaan – written by Stella Blakemore under the pseudonym Theunis Krogh. Iconic books by Eugène Marais are published. Splits into Van Schaik Bookshop (Pty) Ltd and JL van Schaik (Pty) Ltd (publishing imprint). Hatfield and Sunnyside bookshops open. Pioneering work is started on the development of academic textbooks for the South African market. This sees the beginning of what is today, one of the leading academic backlists in the country. Textbooks are published in a wide range of disciplines, and authors include JJN Cloete, Ponelis, Eksteen and many more. Mr JL van Schaik dies. Sons Jan and Hans van Schaik take over the running of the business. Hans takes over the bookshops and Jan runs the publishing division. JL van Schaik is taken over by NASPERS and shifts the focus if its core business to the academic sector. 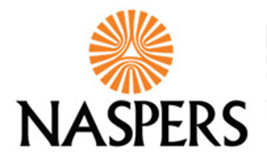 JL van Schaik is taken over by NASPERS and shifts the focus of its core business to the academic sector. 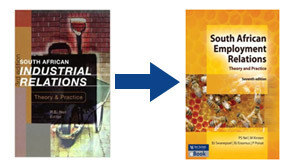 Profiting from effective Industrial Relations was first published in 1889 and by 2012 was in its 7th edition – now known as South African Employment Relations. First edition of Economics for South African Students by Philip Mohr published. Obstetrics in Southern Africa was first published in 1996 and our medical list has expanded considerably over the years. Mr Helgaard Raubenheimer, the then CEO of Nasboek, transferred the Van Schaik Publishers Archives to the UNISA Library in June 2000. 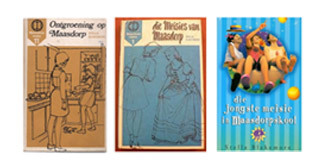 The Publishers Archives consist of a copy of each impression of every title published since the inception of JL van Schaik Publishers in 1914. At the time this constituted a collection of 6 500 books. Van Schaik Publishers launches its first digital ebook First Steps in Research. 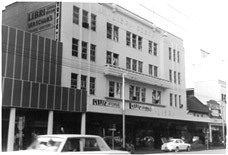 Van Schaik Bookstores is sold and after 93 years, ownership of the bookstore and the publishing company reside in different media companies. 197 ebooks now live on various platforms. Van Schaik Publishers celebrates its centenary – 100 years in the South African market.